By using Adobe PhoneGap app development services from O2I, our developers can build cross-platform mobile apps for your business by combining native mobile and web-based framework in a well-balanced form. Our PhoneGap app development services can future-proof your mobile app since they are compatible with evolving browser standards. Depending on the industry needs we can build custom apps based on PhoneGap framework. Whether it is building intuitive mobile apps or migrating applications to PhoneGap platform we got you covered. We are already the go-to partner for many customers from healthcare, gaming, education, advertising, eCommerce, retail, travel etc. Be it plugins, third-party tools, or SDK with built-in framework PhoneGap consulting services is the answer to hybridization needs because we can optimize the look and feel of mobile apps running on the native platform with a single codebase for multiple platforms. Our consultation services can also take care of making mobile apps more user-focused and visually enticing. Ease of modernization is among many reasons why PhoneGap framework is chosen for developing high-quality mobile apps. Being a schematic framework, it seamlessly facilitates migration to a new platform with a user-friendly interface in fleeting time - All that without running the risk of devolving the code quality. What are the advantages of PhoneGap App Development Offered by Outsource2india? Using standard API consistently across platforms is easy, thanks to Adobe PhoneGap framework. O2I's offshore PhoneGap app development can significantly shorten the time to deploy mobile apps. The third-party plugins are customized to enable functions that are unavailable on all platforms. 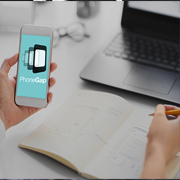 PhoneGap app development solution allows members of the development team to bring to table ideas for collaboration. This not only shortens the distance to goals but also helps developers to efficiently optimize its functionality for making apps more secure and reliable. With the efficient utilization of PhoneGap and existing SDK, mobile apps can be deployed faster. Testing and debugging become effortless as PhoneGap emulator facilitates performance tests on code blocks with real-time inputs. Sharing the app after the build phase is easier because we create shareable links that are can be used by app users to discover and download the app from App Store. The app does not require a facilitator like a laptop to download on a mobile device. What Steps Do We Follow in the PhoneGap App Development? Why Choose O2I for PhoneGap App Development? Outsource2india is an ISO 9001: 2015 certified PhoneGap app development company and a go-to partner in PhoneGap app development services because our app building proficiency has already been put to test in rigorous conditions to satisfy over 250+ clients all over the world. O2I is an ISO/IEC 27001:2013 certified provider of PhoneGap app development services in India because our efforts to secure your confidential data has been widely recognized by international organizations and we actively advocate for securing digital data to an unprecedented extent so that revenue generation goals can be met. You can count on our skills to handle app development with care and concern because our development quality and strategies are routinely gauged to ensure the development lifecycle is on schedule. Our efforts are constantly validated using AI and ML powered tools that will generate input to export results for further investigation. Get measurable performance in fleeting time by choosing O2I as your PhoneGap app development partner. We cater to clients from all over the world because our global offices facilitate project management irrespective of the complexity. We gain your trust by staying committed to the time communicated at the time of contract origination. Don't let cost become the judge of whether you should choose us as your PhoneGap app development partner. We understand that cost is just another barrier in an otherwise smooth business. This is why we offer the PhoneGap app development framework at a flexible rate to let you customize the solution as per the complexity and need of your app. We provide a dedicated associate to serve you in a personalized manner. This includes taking calls and replying to emails promptly so that you are not inconvenienced by being queued until operators are available. We have a growing team of skilled developers (200+) who are at the forefront of the latest development practices and technology. Our team can handle almost all challenges that come along during the design and development of complex mobile apps based on PhoneGap framework. We serve you with passion and our infrastructure is equally important as the remainder of the team. We upgrade our software, hardware, and security infrastructure by bringing them up to the mark of trending standards so that any complex projects can be seamlessly handled without falling short of security and performance. We are focussed on improving the security around import and export channels abuzz with file movement. We provide a secure FTP and VPN that can be counted upon to share project files without risking loss or manipulation. We are committed to being there when you need us. This includes being ever-present within arm's reach 24/7/365. We provide L1, L2, and L3 support to your team should you need our support irrespective of your time zone. 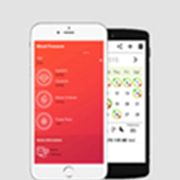 O2I helped a Saudi healthcare client by developing a mobile-based BP detecting app. We designed the by accommodating the client's need along with the friendly interface. O2I designed & developed a 3D game app for an Australian client. The app was developed for iOS and Android platforms in a quick TAT. Under tight deadlines and with high expectations, O2I was a pleasure to partner with, on a high-profile political campaign website. Professional, conscientious and thoroughly competent - I wouldn't hesitate in recommending them to other agencies. Outsource2india is backed by 20 years of experience in software developments services and is a world leader in PhoneGap app development. We have already served 70+ happy clients who stand by us for the exceptional level of commitment in PhoneGap app development services. We can help you roll out high-quality apps at fraction of the cost. Why insource software services when you can trust our skills and proficiency to introduce platform-independent apps? We also provide round-the-clock contact center support to handle your queries and provide training to your staff in managing the app after deployment. Connect with us to monetize on high-quality android, iOS, and Windows Mobile apps that run on a single codebase.